A crowd of students filled the gymnasium at Orchard Hill Church on Saturday night, May 2, for a mind-boggling show put on by hypnotist Dr. Al Snyder. 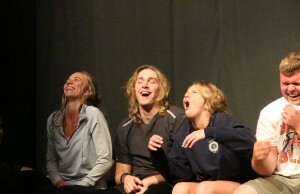 From 2 a.m. to 3:30 a.m., students who attended after-prom were laughing and cheering as a number of their classmates were hypnotised to perform hilarious antics on stage. Although it may seem like subjects aren’t as awake as their normal selves, they’re actually paying hyper-attention. Compared to a resting brain, many areas come online when a person is put into a hypnotic trance. All the areas that flare to life during hypnosis are the same that are engaged when a person is concentrating on mental imagery — all having to do with a consciousness of self. Those who are hypnotised are able to concentrate intensely on self-created imagery (or imagery that is suggested to them), but do not incorporate their normal self as a part of that imagery. They’ve lost the awareness of what they personally do and what normal judgments they make, while increasing their ability to think about a whole range of imaginary situations. “[Being hypnotised] was awesome. It’s like digging into your imagination. 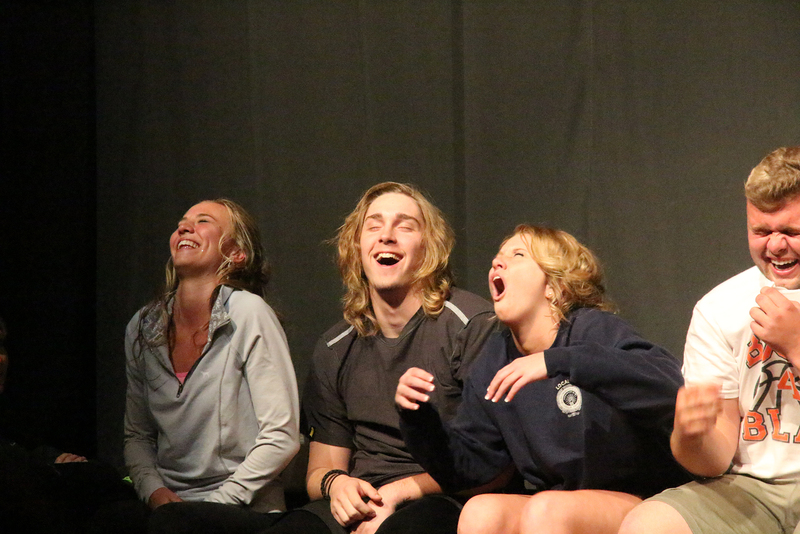 The hypnotist was like a guide to getting this deep connection with your imagination — from there, your mind starts to act faster than you realize and you basically figure out what you’re doing after you do it,” senior Jackson Skiles said. After the show, Snyder discussed how memory of the experience for those hypnotised strongly correlates with dream recollection. If you don’t typically remember dreams, you will likely not remember your experience being hypnotised. However, if you frequently remember dreams, the hypnotism will feel like a strangely vivid, lucid experience.